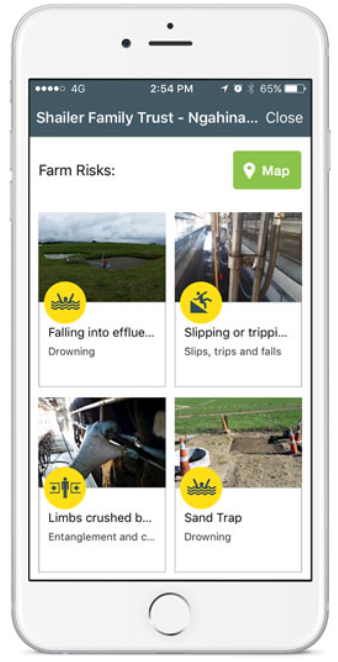 Are you looking for an app to help you manage health and safety on the farm? Here’s our review of some of the farming health and safety apps on the market, to show some of the products that are available. We’ve given them a rating based on testing the various features and provided an overview of the positives and negatives of each system. Although these apps are very useful, remember that they will require regular input and constant up-dating to get the best out of the tool. To be most effective, health and safety needs on-going attention with active participation from both you and your staff to ensure that everyone makes it home safely to their family every day. Also, the providers are constantly updating their product, so you’re encouraged to visit their websites for new developments and more detailed information. A comprehensive programme with an emphasis on identifying and managing risks on farm and also enabling easy recording of information including the uploading of photos and relevant documents. Currently no off-line capability. As there is so much information in the programme, initially it is not always easy to locate some of the functionality, although support is readily available. For more information visit agrismart.co.nz. 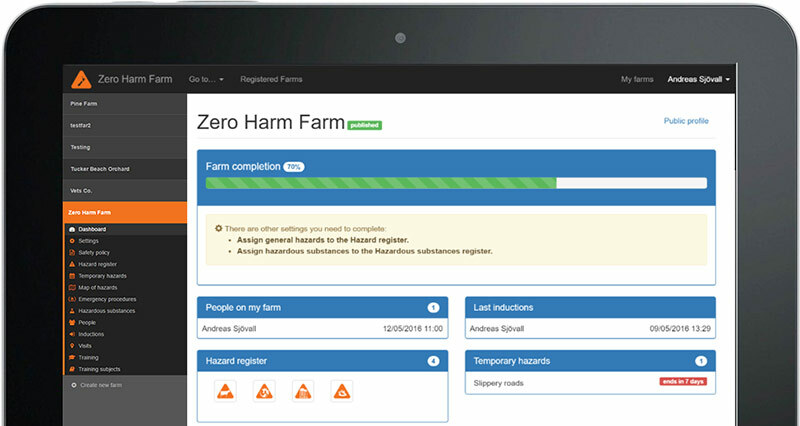 This programme offers a good balance of pre-loaded and customisable fields to record hazards on farm. It covers many facets of health and safety recording and you can add photos of hazards. The map is geospatial which means that app users know when they are near your boundary for sign-in purposes and you can also include map co-ordinates for emergencies. You can swap between a list view and map view of hazards. Some of the navigation is not always as intuitive as it could be. At the time of review, there was nowhere to record team health and safety meetings or vehicle maintenance. When creating a hazard register, there is an option to be guided through the process by a wizard. 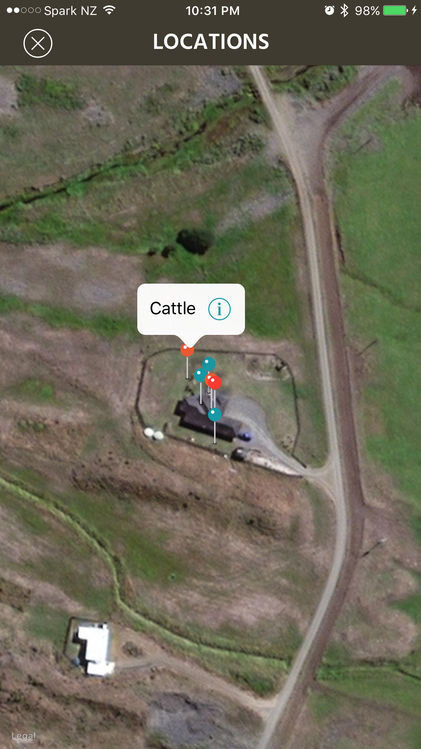 Good balance of pre-populated and editable fields means you can personalise things for your farm. 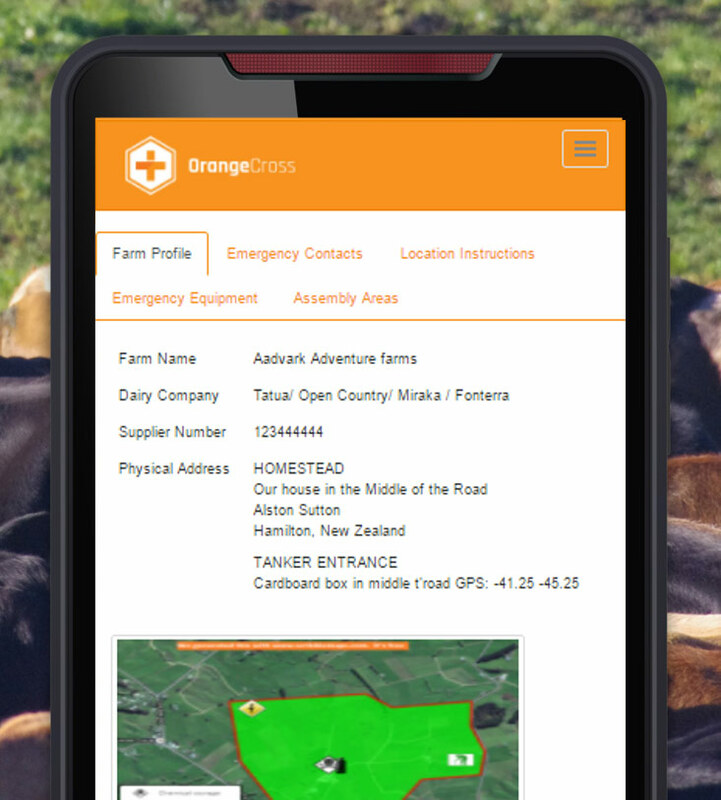 Contractors and visitors don’t need to be signed up to OrangeCross to be inducted onto the farm. The map can only be imported as a JPEG or PNG so it may need reformatting, depending on where you source map. Some of the navigation could be a bit more intuitive. For more information visit orangecross.co.nz. Some of the navigation is not always intuitive, within the app in particular. This app is available free from the App Store. Functions include - hazard register, dashboard view, emergency contacts, safety policy, hazard map, hazardous substances, inductions and visitors. Set up follows a logical flow and is quick to do. Functionality covers most facets of health and safety requirements. For more information visit zeroharmfarm.com. Note: Information included in these reviews was current at the time of publication and only farming-specific apps have been reviewed, there are many more available which are generic to all industries. Health and safety is constantly evolving and the apps are continually updating functionality to reflect this so please check the app websites for the most up to date information. Ensure you have the tools you need to build a healthy and safe place to live and work.